I am trying to create a webform using the Webform Civicrm Integration module. The form would allow users to edit custom fields associated with existing memberships. Our members are required to attend an orientation sometime after signing up for their initial membership. 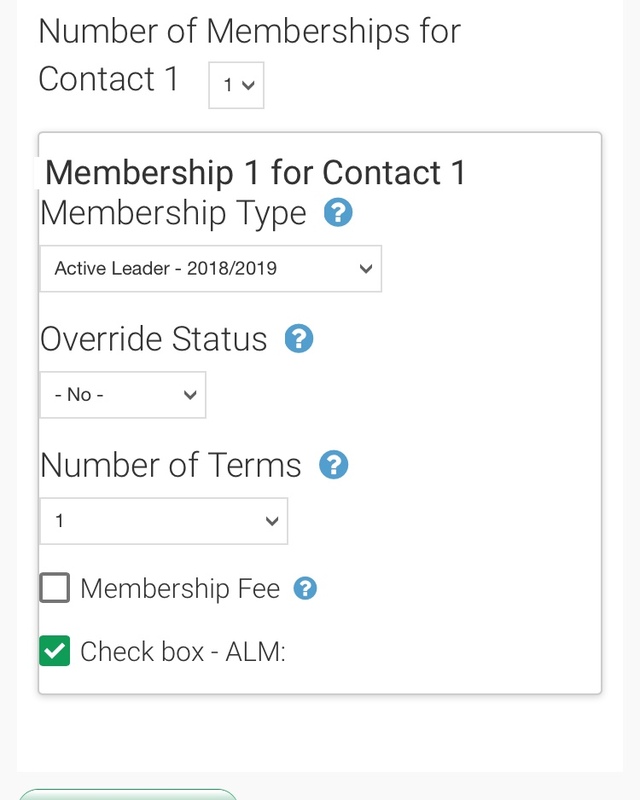 I would like to create a form that would allow users to enter the date of a Member's orientation session, which is a custom field associated with Memberships. I can't figure out how to do this for an existing, already previously created membership. Is this possible with Civicrm Webform? If not, would it be possible using a membership directory profile instead (haven't been able to figure out a way to include the Orientation date custom field for a profile either, since it would involve combining Contact and Membership fields). I am using Civicrm 4.7.29 in Drupal 7, with Webform CiviCRM Integration 4.21.
look to enable the custom fields on your Membership in the CiviCRM tab for your webform -> Membership section (on the left) -> at the bottom of it. Here is an example: that Checkbox ALM is a CiviCRM custom field on the entity Membership in this example. Look here to expose your custom date fields to your Webform. Not the answer you're looking for? Browse other questions tagged civimember webform-civicrm or ask your own question.